Emma Battell Lowman received her MA in History from the University of Victoria in 2008 and is currently a PhD candidate in Sociology at the University of Warwick (UK). Her research focus is the application of Indigenous methodologies to missionary histories in British Columbia. Sean Carleton is a doctoral student in the Frost Centre for Canadian and Indigenous Studies at Trent University. 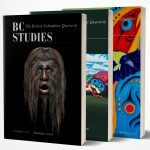 His current research examines the relationship between colonialism, capitalism, and the rise of state schooling in British Columbia. Patrick A. Dunae is a research associate at Vancouver Island University and adjunct associate professor in History at the University of Victoria. A native of Victoria, he is interested in digital humanities, public history, heritage conservation and the built environment. He is editor of the Vancouver Island digital archive, viHistory.ca. Jason A. Gilliland is an associate professor and director of the Urban Development Program in the Department of Geography at the University of Western Ontario. His professional and academic background is in architecture, urban planning and human geography and his research can be characterized as an integration of all three disciplines. His recent publications include historical gis studies of Montreal and London, Ontario. Donald J. Lafreniere is a Vanier Canada Scholar and PhD candidate in the Department of Geography at the University of Western Ontario. His research focuses on the uses of gis to explore the daily activity spaces of Canadians in nineteenth-century Canadian cities. He is chair of the Historical Geography Network of the Social Science History Association. John S. Lutz is an associate professor in the Department of History at the University of Victoria. He has written extensively on topics relating to racial discourse and Indigenous-European Contact, and is the author of Makúk: A New History of Aboriginal White Relations (2008). He is a co-director of the internet-based teaching project, Great Unsolved Mysteries in Canadian History. Karen Bridget Murray is an associate professor of Political Science at York University where she researches and teaches in the areas of urban governance, women and politics, and Canadian government. Long before Karen was born, her mother and grandmother lived and “made space” together in the area now known as Grandview-Woodland. Robert Russo is a PhD candidate in the Faculty of Law of the University of British Columbia. For the past five years, Mr. Russo has been studying the application of national and international laws to temporary migrant workers in Canada with recent publications in Windsor Review of Legal and Social Issues, International Journal of Human and Social Science, and The Law and Business Review of the Americas. His current focus is on the Seasonal Agricultural Workers Program and Temporary Foreign Worker Program for agricultural workers.